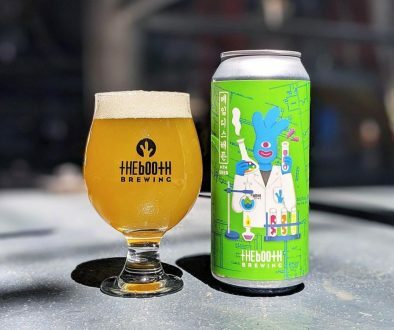 (REDLANDS, CA) – A perfect summertime refresher, with its marriage of fruit-like tartness and sweetness, the Hangar 24 10th Anniversary Sorbet Gose has been so well received that it will have wider distribution starting this week in four packs of 16-ounce cans. 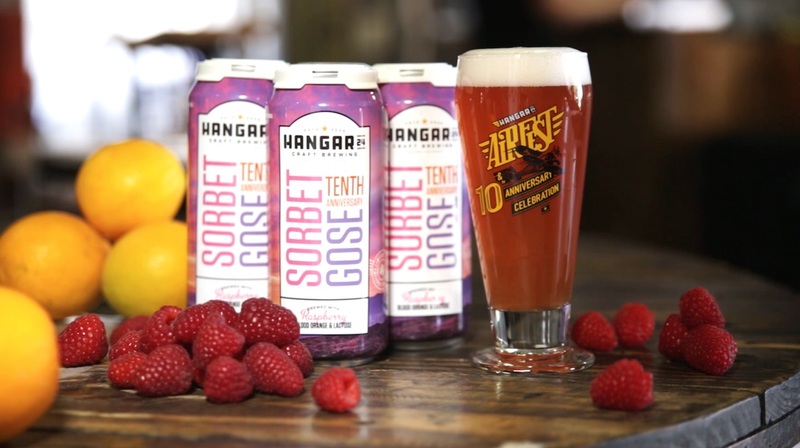 Our Hangar 24 AirFest & 10th Anniversary Celebration in May was a blast to the senses and part of what made it a memorable weekend was the debut of the 10th Anniversary Sorbet Gose, which blends a tart gose base with raspberries and blood oranges. Lactose is added for a well-rounded finish. The 10th Anniversary Sorbet Gose is the first Hangar 24 anniversary beer to get the package treatment in cans and is just the second Limited Release beer to move to the 16-ounce can format following Orange Wedge Double IPA earlier this year. Starting this week, four-pack, 16-ounce cans of 10th Anniversary Sorbet Gose will be available in select retail locations. 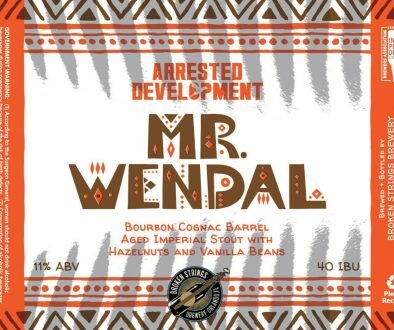 It is scheduled to be release at the Redlands Taproom, in the new walk-up cooler, on Friday, June 29, when the doors open at 11 a.m.
Hangar 24’s 10th year of operation has been an ambitious one. 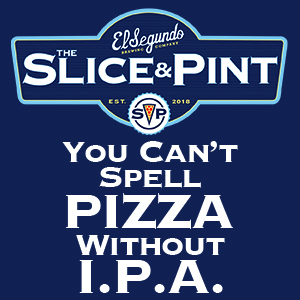 A new core beer, Aventura Mexican Lager, has been wildly popular, while the new L-39 IPA, in the new Formation IPA Series, has garnered instant acclaim. Look for a soon-to-be-announced new beer in the Formation IPA Series in July, as well as more Limited Release beers as the year progresses. There will also be other surprise releases at the Redlands Taproom and the Lake Havasu Brewery & Grill as our year-long celebration of our first decade continues.